UPDATE, 6.20PM: The Forensic Crash Unit will investigate Sunday afternoon's fatal crash at Torbanlea. A car and truck collided near the intersection of Gympie St and the Bruce Hwy at Torbanlea about 4.40pm. 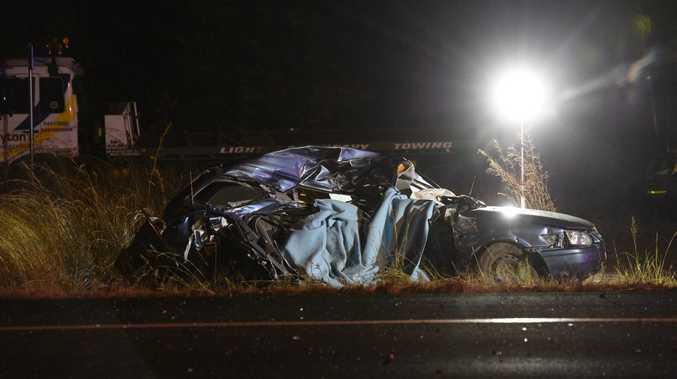 A woman, the sole occupant of the car, was declared deceased at the scene. The driver's side of the car is totally caved in, while the truck eventually stopped in the trees alongside the road. 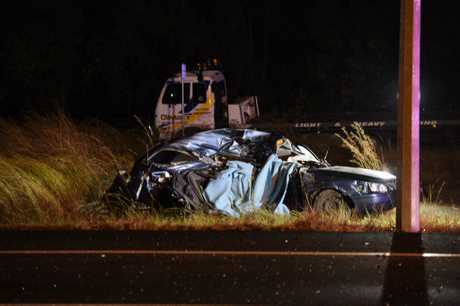 UPDATE, 5.30PM: A woman is dead after a serious crash on the Bruce Hwy at Torbanlea. The crash, which involved a car and truck, occurred near the intersection of Gympie St and the Bruce Hwy at Torbanlea about 4.40pm on Sunday. One northbound lane is reported to be closed. Police have asked for motorists to be patient during potential traffic delays. ORIGINAL: Emergency services are at the scene of a serious crash on the Bruce Hwy. The incident occurred near the intersection of Gympie St and the Bruce Hwy at Torbanlea about 4.40pm on Sunday. The crash involved a car and truck, but no further information is available at this time. Traffic control is in place.